I can't quite believe that it's already the end of another month and Autumn is around the corner, though with the miserable weather here in England you'd think Summer was long gone. I have to admit I love writing these posts, I like reminding myself what I have been up to over the last 30 days even when it hasn't been to exciting, I also find it quite a nice post to write as a I can get it done quite quickly. Strangely I am writing this post half nine on the day it's being published, something I never imagined I'd do but I went to sleep rather early last night due to a sudden migraine which meant I was awake at seven this morning, fun. Let's get on to talking about my August then shall we? In regards to blogging I've struggled a lot this month, I've only been having one day off a week at work and when I am working it's been odd shifts so I have definitely found it difficult to find time and energy for my blog, though it's all explained properly here. I've tried to make the most of the sunshine that has existed going out for walks, one which led to a spontaneous outfit shoot, these walks have definitely led to a lot of the pictures I've been posting on Instagram! I also attended a first birthday party with the theme cowboys and indians, I was an indian whilst Craig was a cowboy but for once in my life I didn't take any pictures! If you follow me on any social networks you'll know I celebrated my 2nd blog birthday at the beginning of this month and I wrote a short post if you missed it. 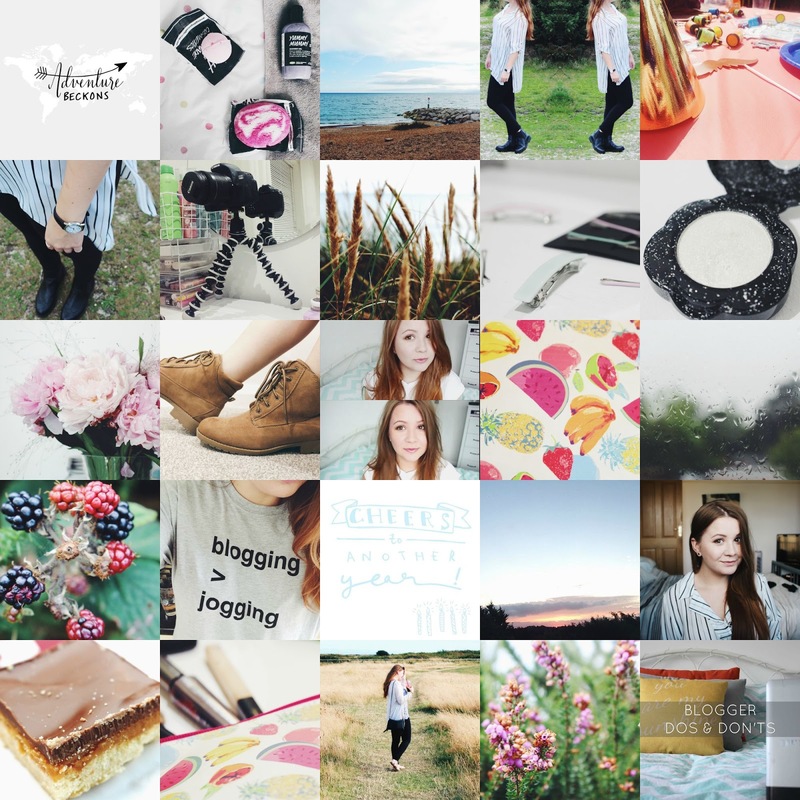 I can't believe it's been so long, but it's only been in the last year or so I've taken my blog more seriously and I hope there will be more blogiversarys to come!